From Earth to Mars following an espiral trajectory. We simulate a journey for a spacecraft traveling from the Earth to Mars in an espiral trajectory. The slider t allows us to simulate the journey. 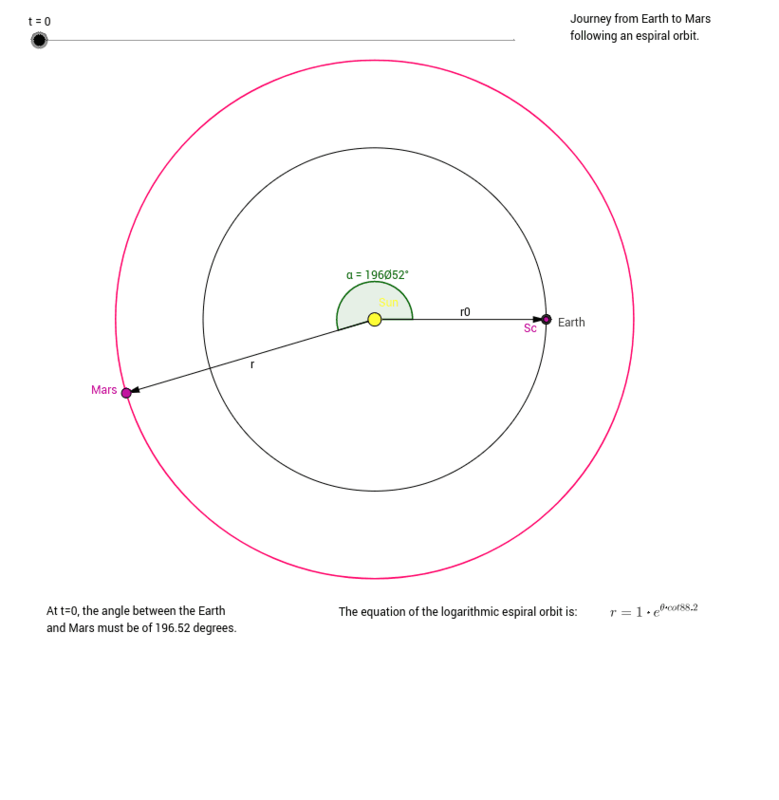 The initial geometric configuration of the planets required for the encounter is shown when t=0.